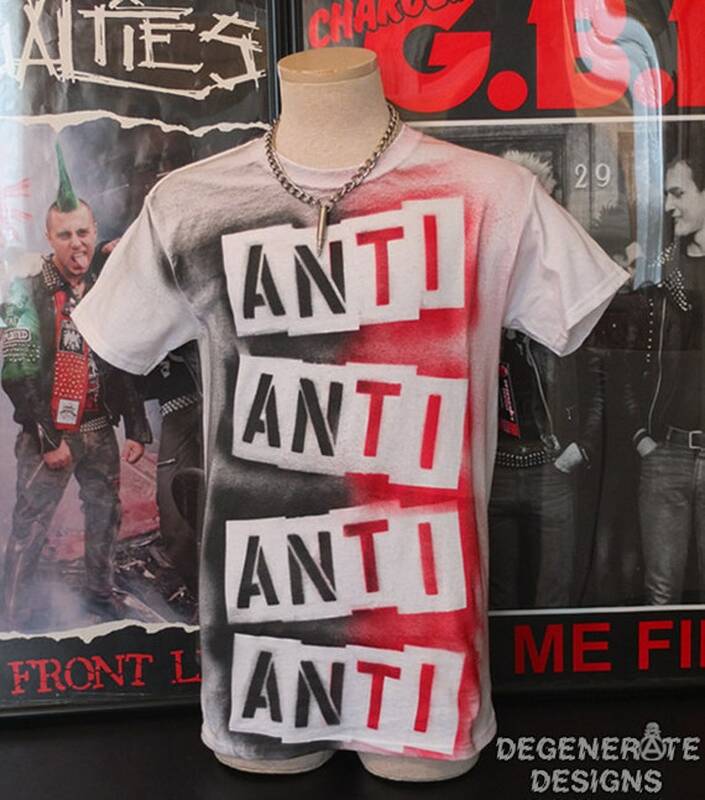 ♠ Men's/Unisex T-Shirt with "ANTI ANTI ANTI" painted on in red and black letters in the 1977 style of legendary punk rock bands. 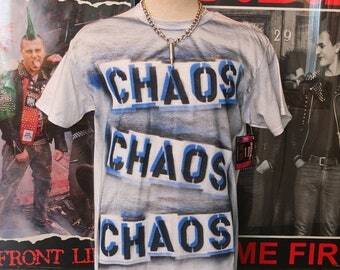 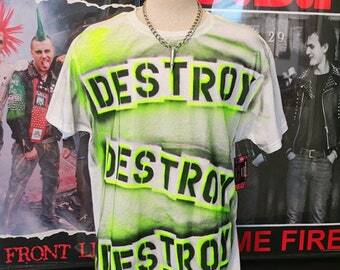 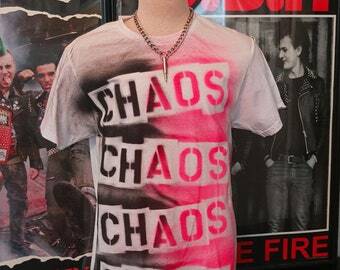 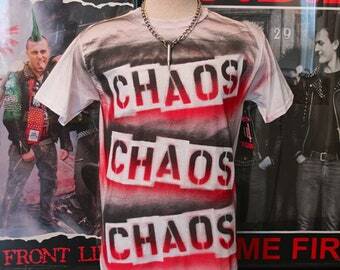 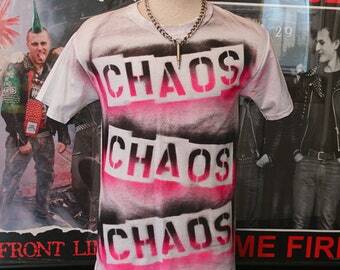 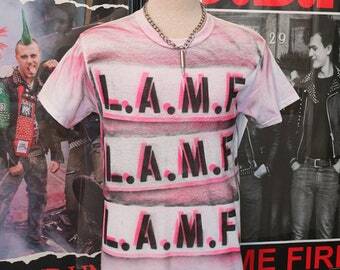 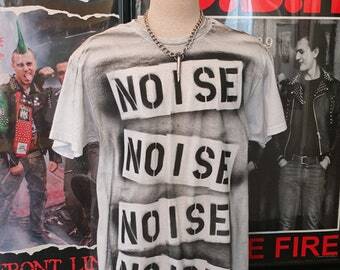 Definitely an eyecatching shirt for any punk! 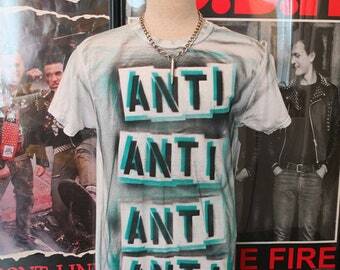 Waist: up to approx. 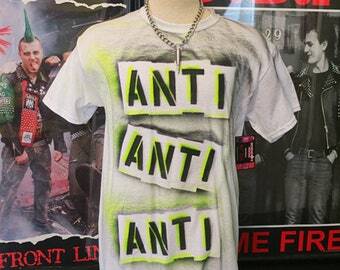 36"
**You don’t need a Paypal account to shop with us though since credit and debit cards are accepted and processed through Paypal when you use the 'Pay with Debit or Credit Card' option when checking out.